I have been so thankful over the past couple of years to have gotten to hear from so many of you and learn about your stories and your challenges and your triumphs. My goal has always been to create a community where we can all share our stories and the things that we have learned during our time living with an ostomy. So I wanted to provide that place for all of us to share our personal OstoMYstory. My softball team lost every game we played this fall, but that was never the point. Not to me, at least. Twice a week for an hour at a time, I got to feel normal again. Of course normal is relative. Ever since my surgery in April, I’ve been adjusting to life and a new normal with a permanent ileostomy and a constant reminder of my exhausting battle with Crohn’s disease. But when I was on the field, that was the last thing on my mind. In my eyes, that made our season a success. 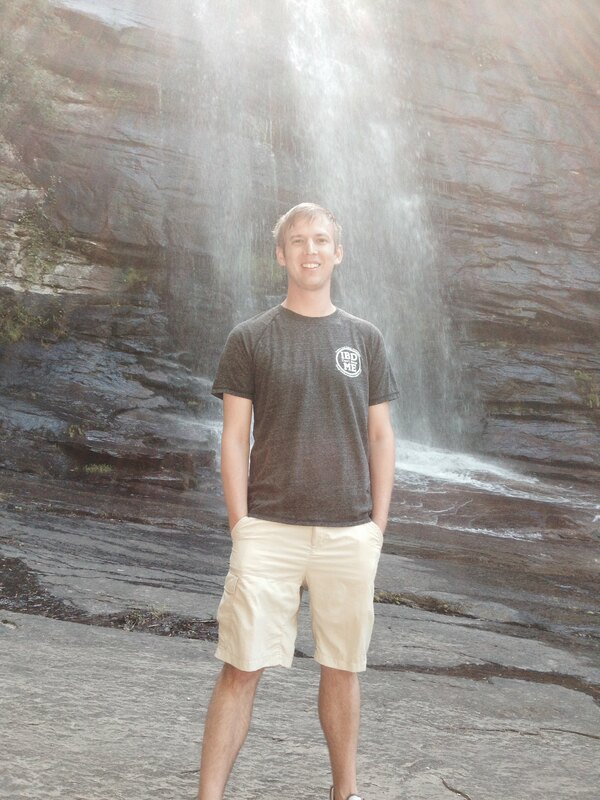 I was diagnosed with Crohn’s in 2012 when I was 22 years old and fresh out of college. Most of my friends were starting jobs, getting married and buying houses. Meanwhile, I was alternating most of my time between my gastroenterologist’s office and the hospital. I tried to find the words to describe the way my symptoms felt to friends and family, but always thought I failed to capture the true depth of intense pain, isolation and humiliation I felt with this disease. My tipping point came at the beginning of 2014 when I realized the biologic therapies we tried were not working. I was dependent on steroids, had lost 40 pounds and was alarmingly anemic. My GI offered two options. First, a new drug combination that would increase my risk (albeit remotely as a young adult male) of developing a rare form of leukemia that was untreatable and fatal. My second option was the surgical removal of my large intestine, and a permanent ileostomy. Which devil do you want to dance with? I took a leave of absence from my job as a public speaking instructor at Clemson University, and at 6:30 a.m. on April 1, I was wheeled into the operating room. When I woke up around noon, I remember being moved to my dank little hospital room, watching a basketball game on TV, holding my mom’s hand and then falling asleep. I never looked at my stomach. That came on day two in the hospital when I finally mustered the courage to peek under my linens. Tubes and cords and finally, it – my ostomy. I figured we might as well get to know each other considering we’d be living together for the foreseeable future. Our courtship wasn’t easy. It took two weeks to get out of the hospital, and even after that it seemed like we couldn’t get on the same page. I had one night where I let myself completely break down and feel sorry for what had happened. But any more than that, I felt, was unnecessary. It took a few weeks before I realized just how much Crohn’s had taken from me, and what this surgery was giving back. Eventually I started walking around the neighborhood with my mom and dad. My sister and brother-in-law would bring by my baby nephew to play with. My pastor would stop by to pray with me. Friends and family members sent friendly cards, texts, and visited. I even began to eat things that I never would have been able to because my evil gut would have destroyed my ability to enjoy them. One evening I was watching the news after dinner, and heard an interview with a survivor from the Boston marathon bombings. She had lost a leg as a result of the attack, but never her optimism. She said, “Our scars are just proof that we are stronger than what prompted them.” That helped me realize that I was and am stronger than Crohn’s. I’m alive because of the surgery I elected to have. And not just alive, but happy. No longer dealing with the pain and anguish associated with Crohn’s, or the fear that I would never be normal again. But I am. We are. Normal. The Stoic philosopher Seneca once said, “As long as you live, keep learning how to live.” Having an ostomy doesn’t mean I’ve entered some alien state of being. It quite simply boils down to learning how to live out a new normal. I’m alive. And I can play softball. You can follow Brandon on Twitter @brandoncb10. 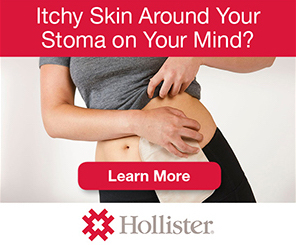 This entry was posted in Guest Post, Ostomy, OstoMYstory, Stolen Colon, Surgery, Ulcerative Colitis and tagged colectomy, colon, colon bag, Crohn’s disease, health, hospital, IBD, ibd blog, ileostomy, ileostomy bag, ileostomy blog, ostomy bag, ostomy blog, pain, recovery, stoma, surgery on November 25, 2014 by Stephanie Hughes. Thank you for sharing your wonderful story, Brandon. You have courage and I know you will do well in life. I am glad you can play softball. I was glad as well when I could continue running and playing soccer, occasionally. Keep up the courage! What an inspiring account of your healing process, Brandon. You’ve got that all-important “attitude of gratitude”–plus a plethora of well-earned wisdom. You’re clearly a winner, no matter how your softball team does in a given season. You are one of the bravest Tigers I know! Great story of coming through the process of acceptance! I have Been dealing with a leaking ostomy bag. Since I got the operation..no one seems to know how to attach the bag so that it will stay on..my skin is so red and raw that I am in constant pain..all kinds of bags and flanges have Been tried with but the bags just leak or fall off..I had my surgery June 23rd.2016…I am losing hope and getting so depressed.. I have a colonstomy since 2003. I’m now 59 years young. I just found this blog what a way to relate with others. I use Nexcare clear flexible tape on my wafer. My wafer would not stay attached to my skin. I also use the two peace unit with drainage pouch. Hope this helps.